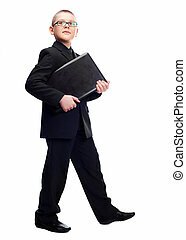 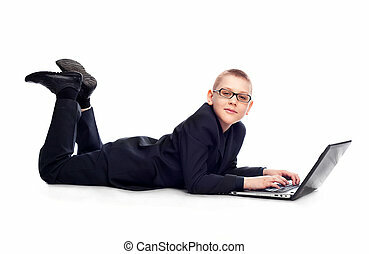 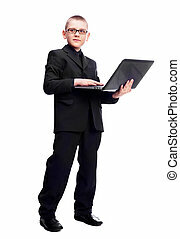 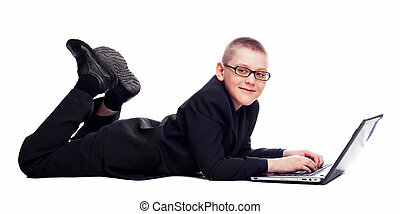 Kid businessman with a laptop. 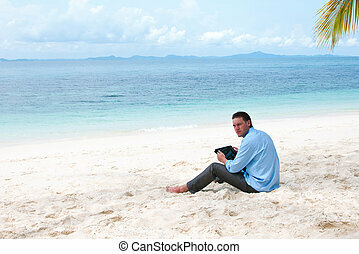 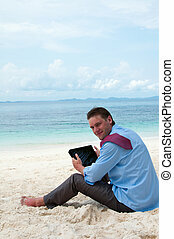 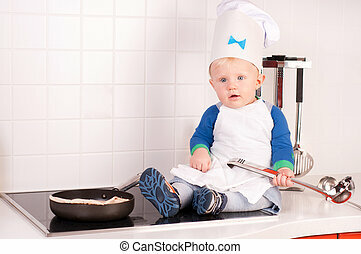 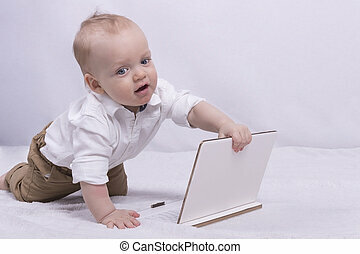 Cute 10-month-old baby boy in white shirt playing with a tablet and looks very thoughtful. 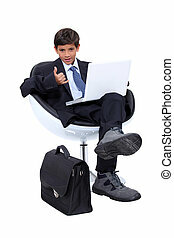 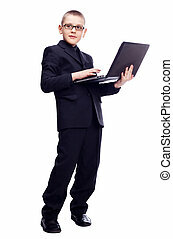 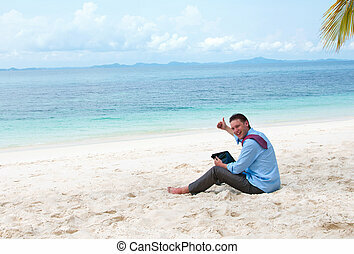 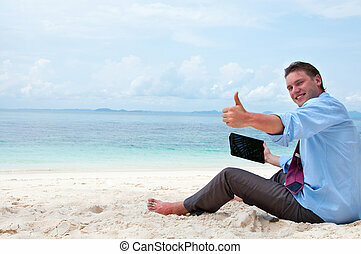 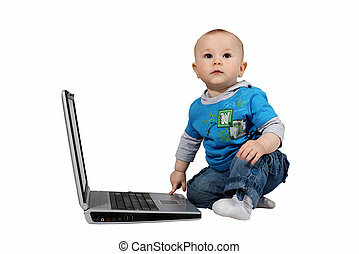 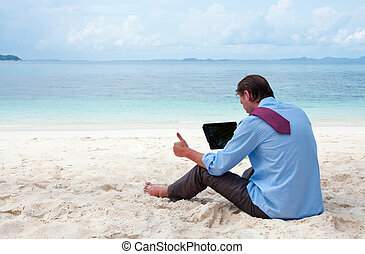 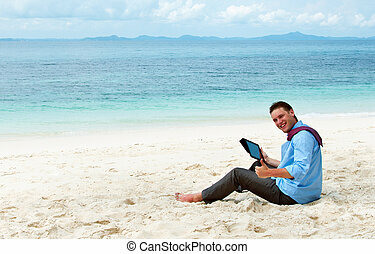 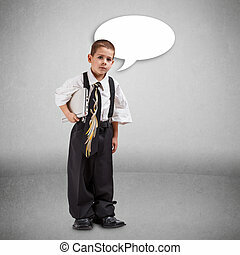 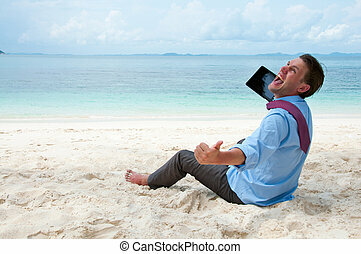 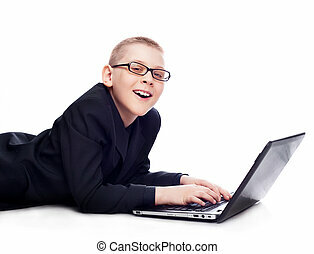 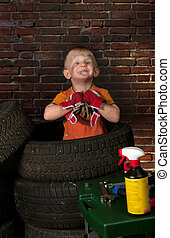 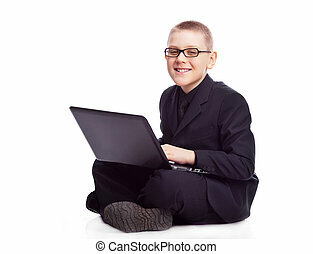 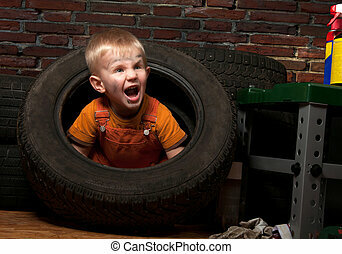 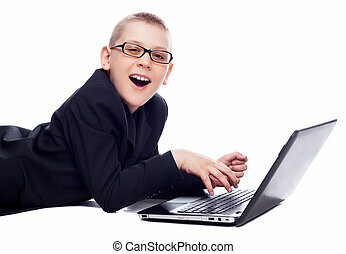 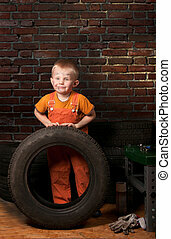 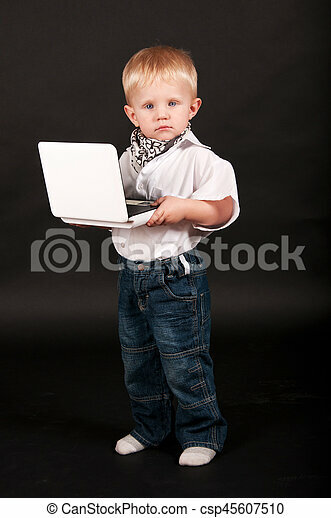 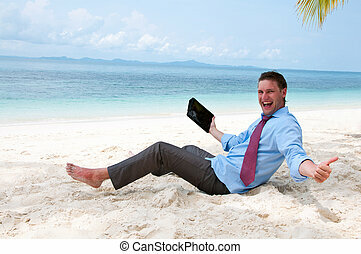 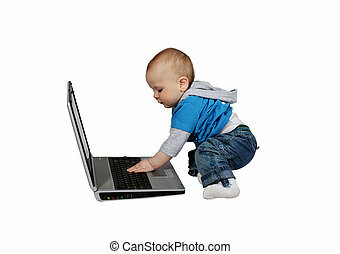 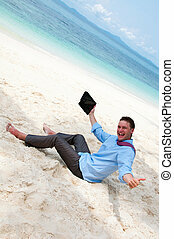 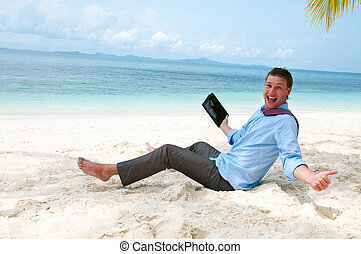 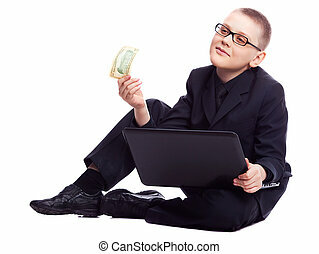 Funny infant boy with laptop looks like little businessman.